I had been meaning to start THRONE OF GLASS for a long time and was juuuust about to start it when Nikki from There Were Books Involved advised me to read the novellas first. See, this would haven’t been my first read of THRONE OF GLASS. I had actually tried back when the book first came out in 2012 and made it about 80 pages before my book was due back the library… But I hadn’t been really interested it in. I had found it a bit hard to get into and I think I wasn’t at a point in my reading life at that point in time where I could really appreciate fantasy as much as I do now. When Nikki advised me to read the novellas first because they actually helped her appreciate THRONE OF GLASS that much more, I decided that was definitely the best route for me. The funny story is… I was only able to borrow some digitally from my local library so I had to purchase the others… and ended up accidentally reading them out of order (I read the third one first and the first one third). It didn’t really affect my overall opinion too much, but more of a funny little story which obviously wouldn’t have happened if I was actually reading THE ASSASSIN’S BLADE. Oh well! THE ASSASSIN AND THE PIRATE LORD is the first novella of the bunch (and the one I ended up reading third. Oops) and I’m actually kind of glad I ended up reading it out of order. I really loved all of the novellas but I think this one was my least favorite. Since I read the third one first, I already knew essentially what happened here and it wasn’t that it was anticlimactic but more so that I had already seen a more mature Celaena — even two novellas later — so I grew a bit impatient with her at times. It wasn’t a huge deal for me, but I did notice it a bit. I also felt like the plot was probably the least interesting out of the four that I read and felt more like a string of sequences than something that really flowed. It did have quite a bit of important foreshadowing in there, though, and it was really great to get that foundation for both the world and the characters. This was also an extremely important story because it really sets to motion absolutely everything that leads up to THRONE OF GLASS. The second novella (skipping over the one that is only in TaB… so technically # 0.3) is THE ASSASSIN AND THE DESERT. I think I enjoyed this more than THE ASSASSIN AND THE PIRATE LORD because Celaena really starts to learn things about herself and is both mentally and physically pushed to the limits on so many levels. It’s easy to know who you think you are but once you’re put in extremely trying situations, you start to see the person you really are and what weaknesses emerge. It was heartbreaking too, because I think Celaena really opened up and discovered a lot about herself but then both of those things made her close herself off again. I really loved the relationships in this novella a lot and I think it was a really important piece of Celaena’s background that we got to know. The next novella was THE ASSASSIN AND THE UNDERWORLD (that I accidentally read first) and I just fell in love. It was so intriguing and so complex for a novella! I really felt like I got to know all of the characters so intimately and each of the characters — as well as the plot lines — really begin to grow. There were TWISTS and things I did not see coming and it was probably one of the best novellas I have read in a long time (maybe ever? )… That is until…. THE ASSASSIN AND THE EMPIRE — HOLY CRAP, you guys. This novella BROKE me. It was flat out amazing and also set up a lot for THRONE OF GLASS but there were so many things I didn’t expect and so many things that completely floored me. If you read the main novels first — as goes for any of these novellas — you already know what happens in the end but I got to experience all of that backstory first hand and it was… well it was a wild ride. This is one of THE best novellas I’ve ever read and all of these are worth the read, whether you’ve already read all of the books so far in the series or not. My overall opinion of the novellas is that they’re must-reads for fans of this series. I know a lot of people actually aren’t a fan of novellas but these four (and I’m assuming the fifth that I haven’t read yet) all fit together to really kind of form a whole new story in one book. I read them all before I started THRONE OF GLASS which you don’t have to do, but I really enjoyed it because these are all prequel novellas and I really felt like I was reading the series in chronological order. Given what I’ve learned so far in CROWN OF MIDNIGHT, I think it’s important to read these novellas before book two because there is a lot of history explained there that really makes more sense and draws on more emotions if you’ve read the novellas first. Celaena // Character Obsessions: Clothes, books, training, fighting, Sam, and erm… kiling. Celaena is totally badass. She’s not always my favorite heroine in terms of the way she handles herself and reacts to certain situations but I really respect her and hell. It’s not like I could ever be in her shoes. I really enjoy her stories and I loved learning about her past in these novellas. Sam // Character Obsessions: Working his way up in the ranks, loyalty, pride, Celaena. Oh, Sam Cortland. I just loved him. I thought he was the perfect balance for Celaena in so many ways. I actually think he’s still one of my favorite characters in the entire series so far. Kept Me Hooked On: Prequels. Even though I read this before I started the series so it was like “starting at the beginning” for me, I just love prequel novellas. I’m sure authors have tons of background that they probably have to write down in order to really round out some of their characters so I love reading that extra information and getting that info in a novella! Left Me Wanting More: Connection with Celaena. I actually really grew to like her a lot more in each novella the more I got to know about her, but it wasn’t a little bit hard to really feel like I related to her in the very beginning. If you’re a fan of this series at all, I think the novellas are really important to both world building and character development, but especially character development for me. There’s so much history in them and I think it’s really important to know and see it firsthand. 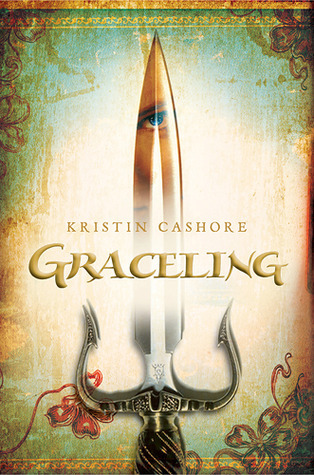 This entry was posted in Books, Fantasy, Review, YA and tagged Books, Fantasy, Novella, Novellas, Review, Sarah J. Maas, The Assassin's Blade, Throne of Glass, YA, Young Adult on August 20, 2014 by Brittany. Yessss!!! I just read all of these after CoM and before HoF and I fell in love. I NEVER read novellas (they kind of annoy me to be honest), but this was Sarah J. Maas so I had to read them. So so good. Knowing what was going to happen in that last one didn’t make it any easier by the way. I almost think it made it worse because I fell in love and knew what was coming and it was like watching something really horrible and being unable to look away if that makes sense. But these novellas had so much depth to them. I read them all back to back and it was seriously like having a whole new book! Loved them!! I adored the novellas! I read them before ToG and felt like it set such a good foundation! I also felt like I knew and understood Celaena a lot more going into ToG. I usually don’t like novellas that much either, but these were amazing! Personally, I am one of those kind of people that are not a fan of novellas and would rather avoid them entirely, but people always say they add lots to the plot. My general complaint seems to be the expense of so many little 50 page novellas that can nearly cost as much as the book sometimes, because my library is in the dark ages and does not do e-books or e-book loans so these kind of things are not available! Still, I have yet to give this series a shot, but it sounds like I might have to break habit when I do and read the novellas here. Glad you are enjoying it so much! I’ve been waiting for this to come out in paperback (so it matches the ones I have so far) because I’ve seen these need to be read before the series. Hopefully I can find it soon! I’m dying to get my hands on this one!! I read that this was more like a prequel to the series and there’s lot more info on Celaena. I’ve never read a novella before but I’m going to make an exception for this series.